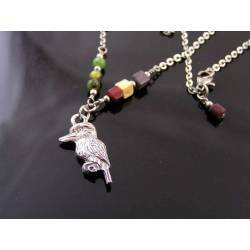 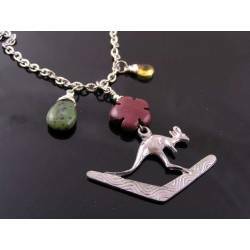 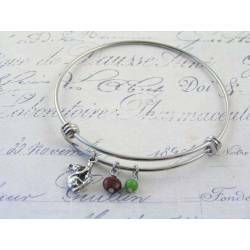 A cute kangaroo charm with Australian gemstones mookaite and chrysoprase. 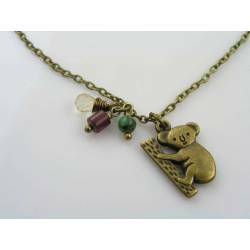 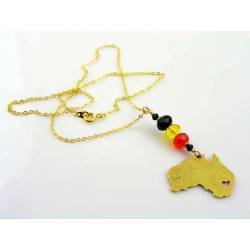 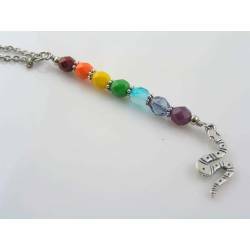 What a great way to remember a visit, to think of your home town when abroad or to plan the next holiday - this necklace is easy to wear and showcases not only a detailed and very cute kangaroo charm, but also two Australian gemstones, mookaite and chrysoprase. 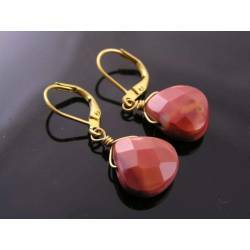 Mookaite is a colourful form of jasper which is found in Western Australia. 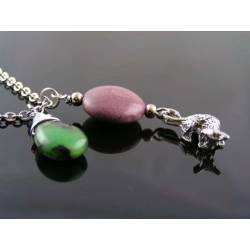 This mookaite is carved into a flower out of earth coloured material. 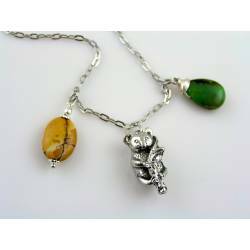 The chrysoprase drop is natural apple green. 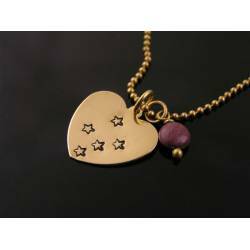 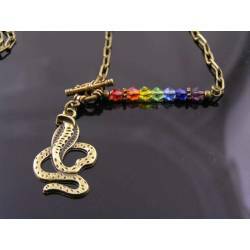 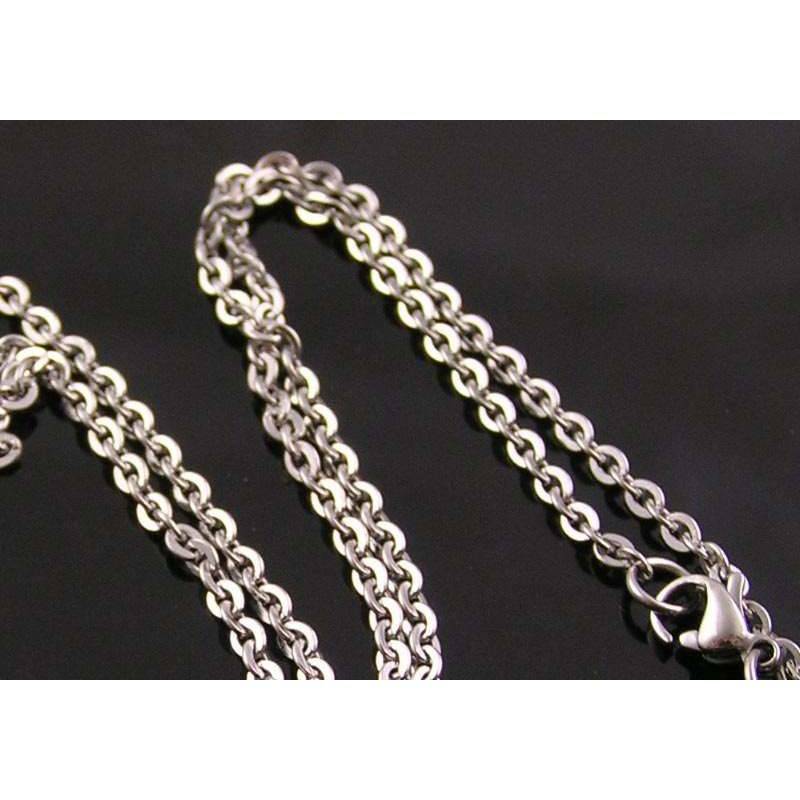 All three pendants are added to a shiny stainless steel box chain which measures 51cm in length. 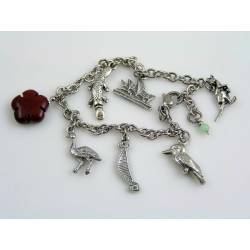 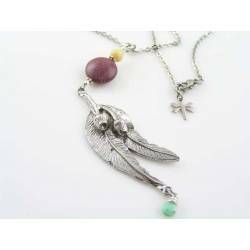 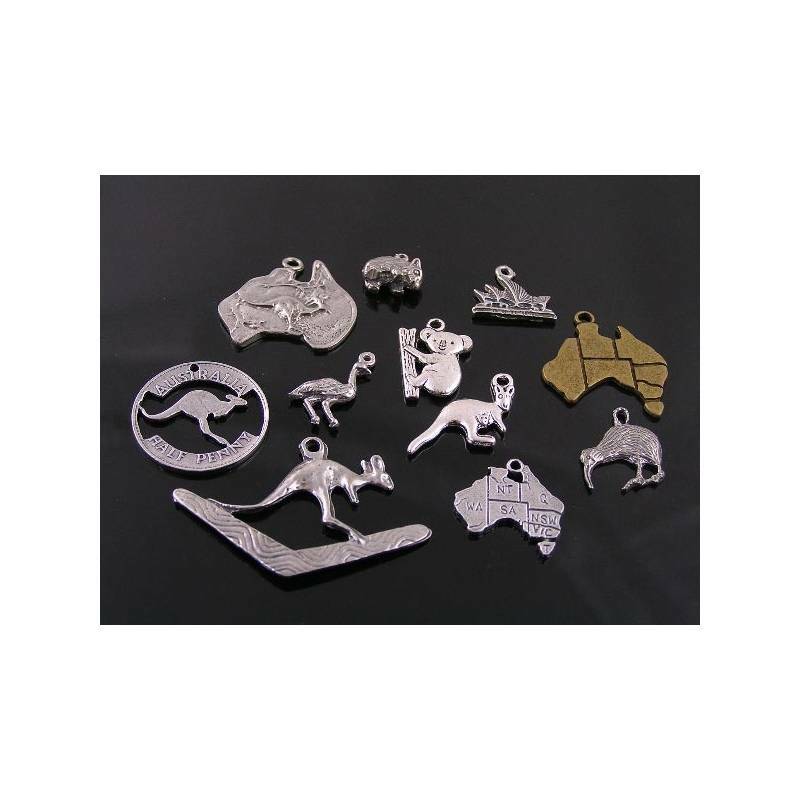 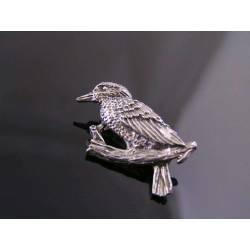 The kangaroo charm is cast out of pewter, the chain is made out of durable stainless steel. 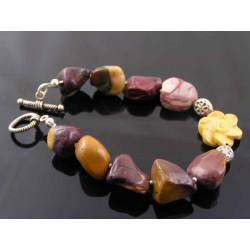 The Mookaite flower measures 20mm in diameter. 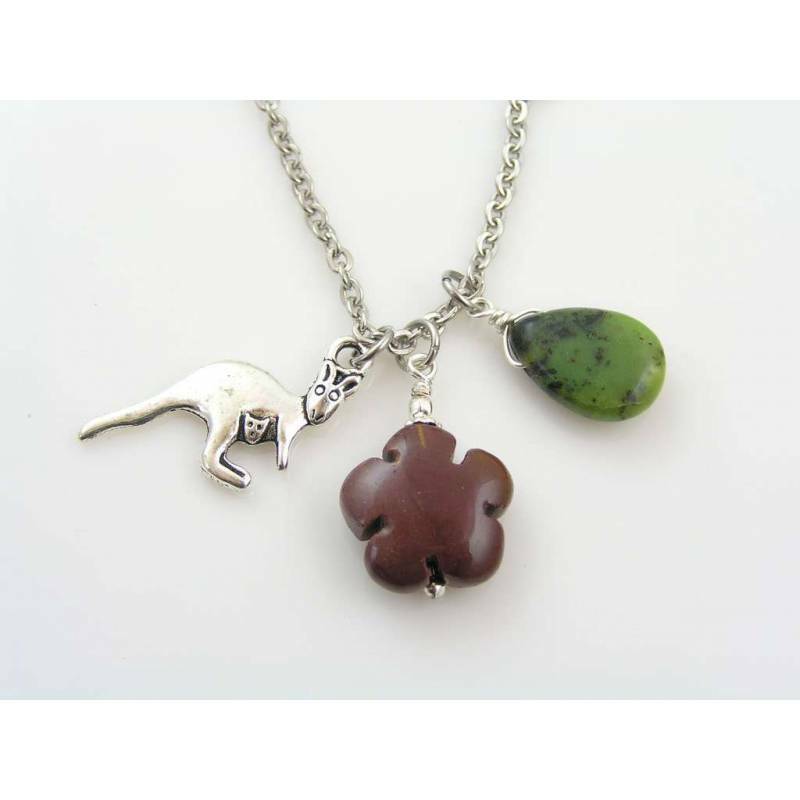 The kangaroo charm measures 15mm in height and 20mm in width. 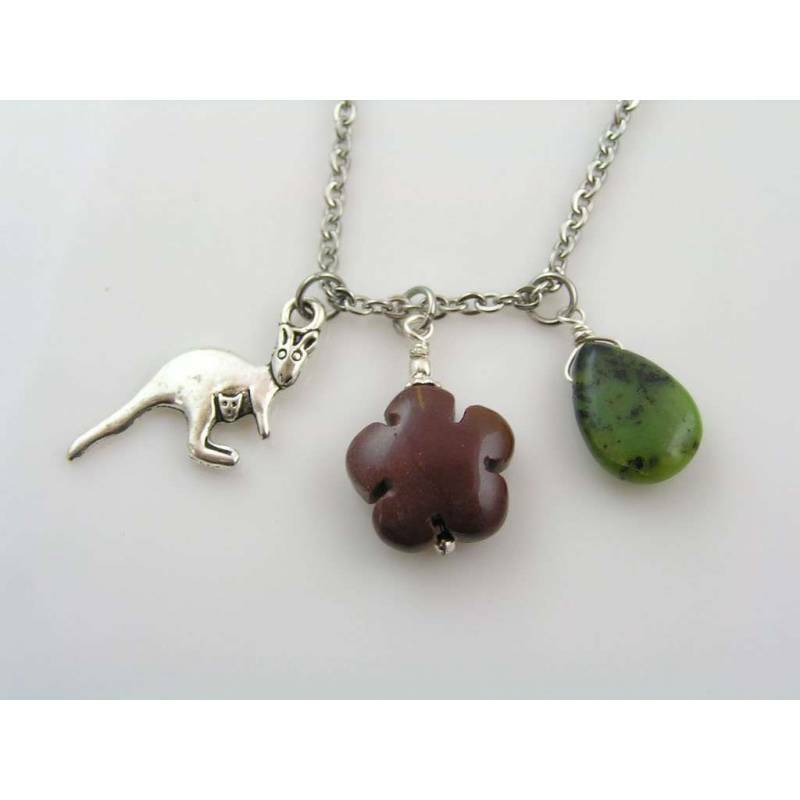 * Photo #3 shows other Australian necklaces I only just listed. 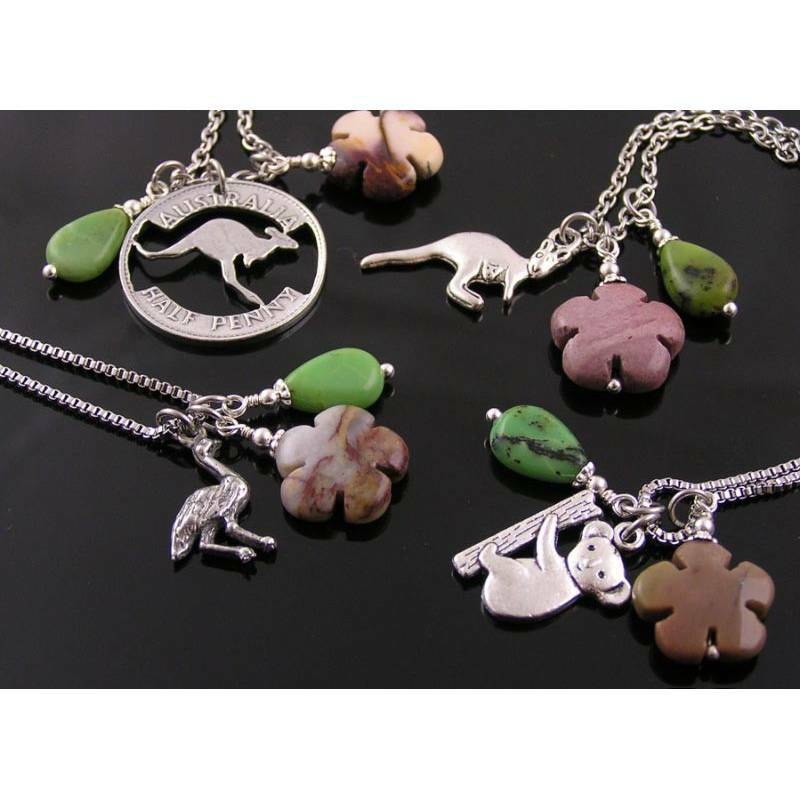 * The last photo shows my collection of Australian (and one New Zealand) charms, available for custom orders.